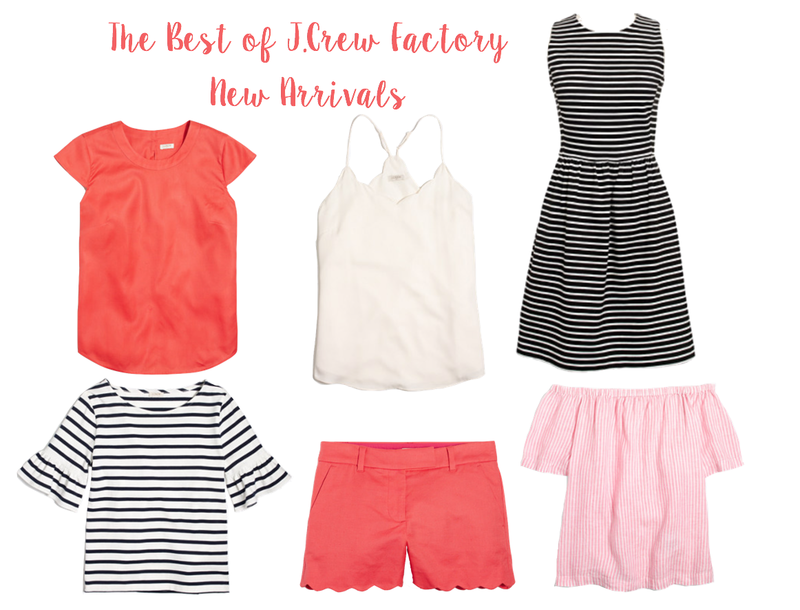 It's no secret that I absolutely love J.Crew Factory. I think they have the cutest clothes at really great prices. I find myself shopping there more often than anywhere else. So when the most recent new arrivals came out, I couldn't help but stop everything(I was in math class) and check them out! I fell in love with the scallops and coral color, and of course, stripes are always a classic. 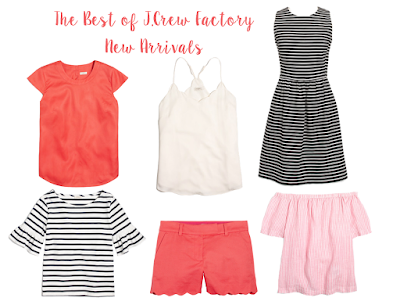 Also, I recently discovered that there is a J.Crew Mercantile store(same as J.Crew Factory just a different name) in Winston-Salem where I go to school, and I couldn't help but head to check out some the new arrivals. I love being able to go to the store because you can use your student discount and get an additional 15% off, which is always great. I bought the striped ruffle top and the scalloped tank almost immediately as I fell in love with them when I tried them on. I decided to wait on the other stuff, giving my wallet a little break but I get paid this Friday so the other stuff may be in my closet real soon. I absolutely love that scallops are popular again this spring/summer season as I think it adds such a fun and simple touch to a clothing piece. What's your favorite trend for the upcoming season?